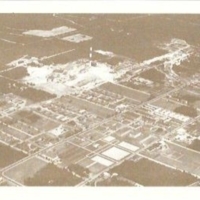 Bird’s Eye View – Camp Upton, Yaphank, L.I., N.Y.
Worlds First Research Reactor Under Construction, Brookhaven National Laboratory-1949. 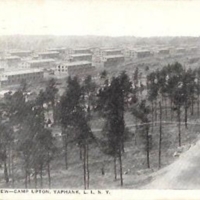 Formerly Camp Upton. 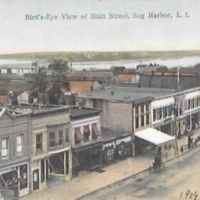 Shelter Island, Long Island, N.Y.
Aerial view of Main Street, with commercial buildings visible on the left side of the street. 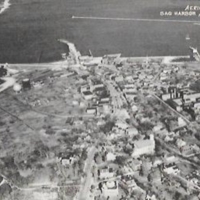 There are other buildings in the background, and Sag Harbor Bay is visible beyond them. 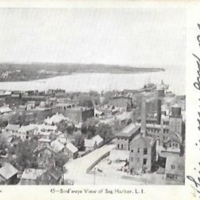 Bird’s-Eye View of Sag Harbor, L.I. 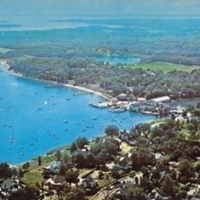 Aerial View Sag Harbor, Long Island, N.Y.
B.E. 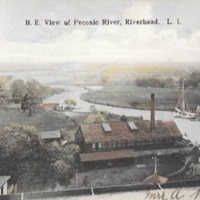 View of Peconic River, Riverhead, L.I. 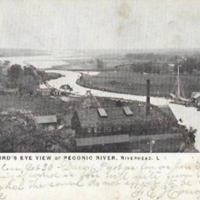 Bird’s Eye View of Peconic River, Riverhead, L.I. Bird's eye view of the Peconic River. 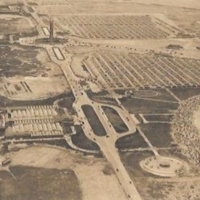 There are a number of buildings near or on the shoreline. There are two sailboats docked near one of the buildings. 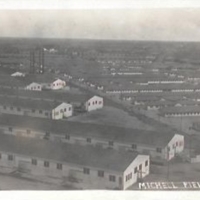 Message on the front and addressee information on the back, both handwritten.